Smiling families posing in front of Cinderella Castle might be the first thing that comes to mind when you think about Disney World, but Disney World is a popular destination for honeymooners and adults-only trips, too. 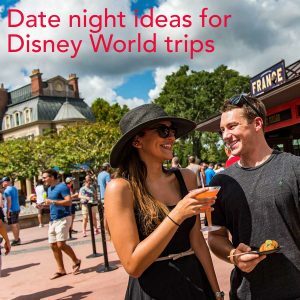 Even if you are traveling with your family and just looking for some ideas on adding a date night to your Disney World vacation, the Head Mouse has you covered. 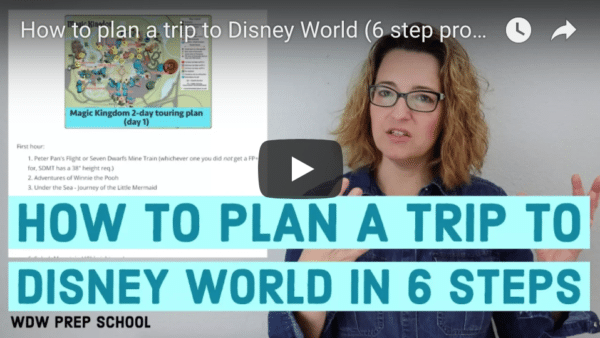 Check out the info below for some ideas on how to spend some adult-only time at Disney World. Or do whatever else you want! 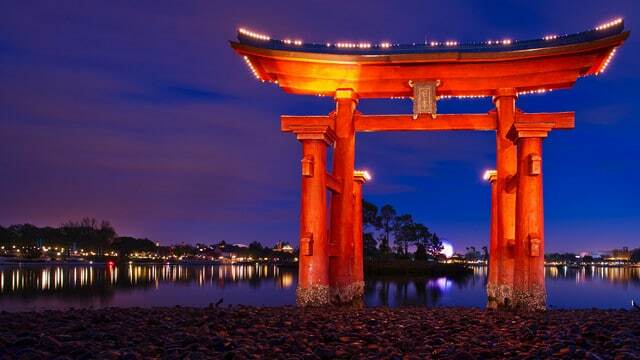 While the adults may love the shopping, food, drinks, and entertainment offerings from around the world, the World Showcase isn't always the most exciting for the younger crowd. If your kids aren't into the World Showcase, take kids to visit the Future World section of Epcot in the morning and then return in the evening to do the World Showcase. Schedule a nice dinner in 1 of the World Showcase restaurants, have a drink while strolling through the World Showcase, and then see Illuminations to wrap up your date. The Boardwalk area is home to a few great restaurants and a couple of bars, including Jellyrolls and AbracadaBar. In addition to the food and drinks, you can also find fun entertainment options around The Boardwalk like renting a surrey bike and watching the live performers. 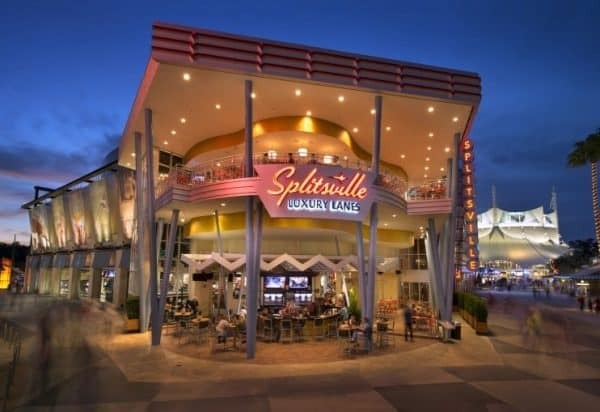 Disney Springs has lots to offer when it comes to shopping, dining, and entertainment. Have a meal, catch some of the performers, go bowling or just wander through the shops; there's lots to do at Disney Springs for grownups. 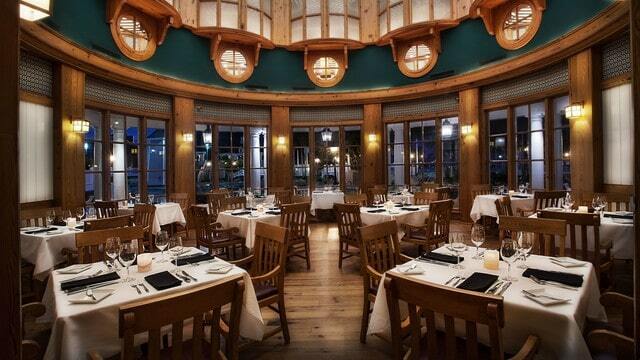 6 course meal that takes 2 hours in 1 of the top 3 restaurants in Florida. Need I say more? (Also an option at this restaurant: eating at The Chef's Table where you get a personalized menu and eat at a table in the kitchen. Not many of those reservations available so book those 180 days in advance! Check out our Chef's Table review.). 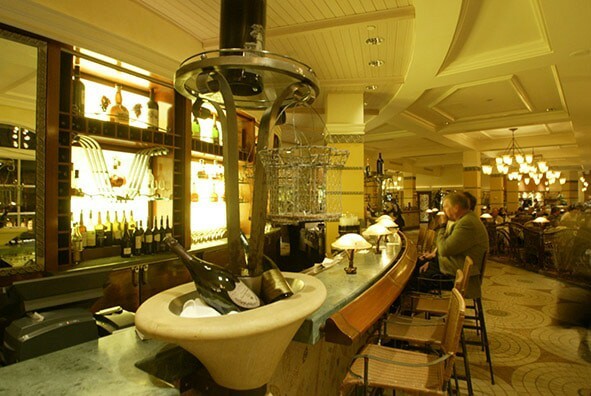 Recently refurbished restaurant with lot of wine, sushi and wood burning oven selections. 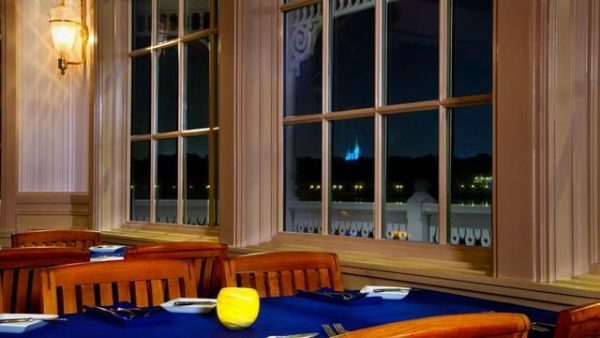 Book a late reservation here to watch fireworks at Magic Kingdom from the comfort of the restaurant. 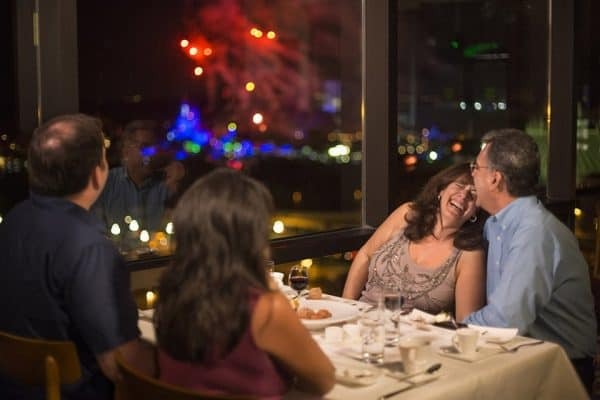 Casual seafood restaurant overlooking the water that has great steaks and Magic Kingdom views. Menu that includes Pacific Northwest dishes like salmon. Reservations are easier to get at this restaurant than many of the others on this list. This restaurant offers its own spin on African food in a low-light, quiet setting, making it 1 of the most romantic restaurants at Disney World. A restaurant known for its great filet mignon. If you don't want to have a full meal with a reservation, you can go to the bar and have a drink with appetizers. 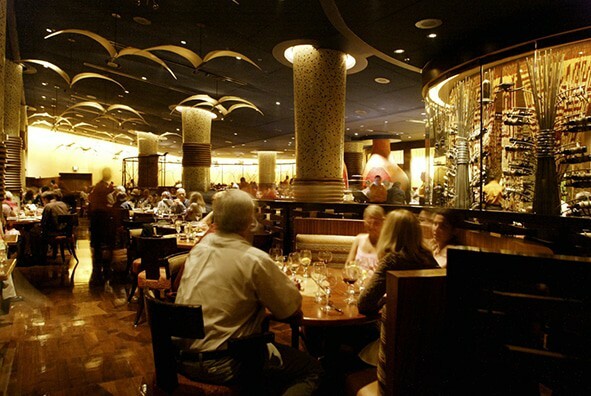 A great steakhouse located near the Boardwalk. This is another great option if your evening happens to include visiting the Boardwalk area. Many of the tours offered by Disney have age restrictions so families can't participate unless they have older children. Many of these tours are offered during the day so they wouldn't be so much a date night as a date day. 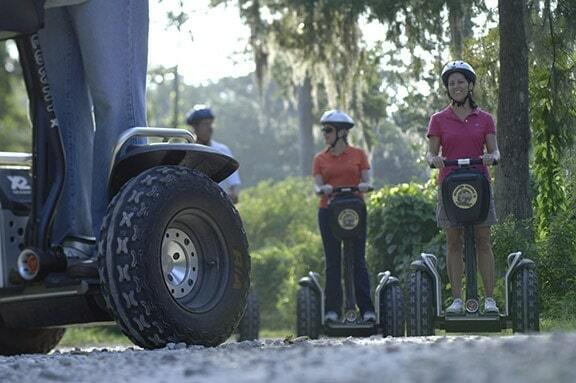 Check out the tours that are ideal for adults on the Disney World site. Disney is home to 2 fantastic water parks: Blizzard Beach and Typhoon Lagoon. 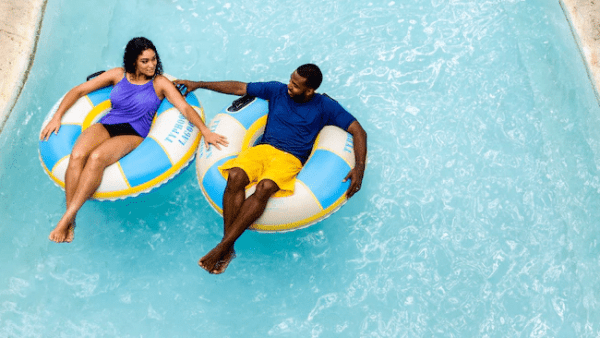 Although both water parks are totally kid friendly, they also make a fun place to go as a grownup. Not sure which one to pick? Check out this comparison. If golfing is your thing, you're in luck! 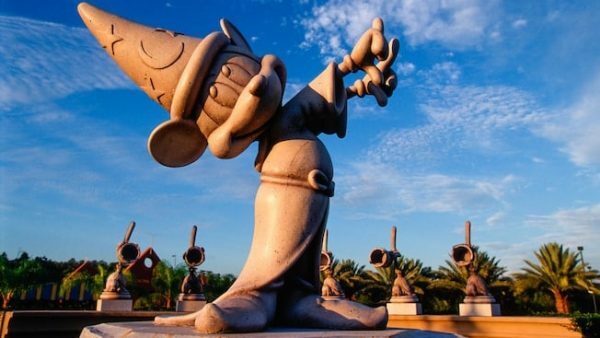 Disney World is home to 4 golf courses and 2 miniature golf courses: Winter Summerland (near Blizzard Beach) and Fantasia Gardens (near The Swan). Tee times should be reserved ahead of time using the link above for the regular courses; however, you can just show up for miniature golf. The miniature golf courses are also open in the evening if you'd like to play a round or two after the sun goes down. Need a massage? 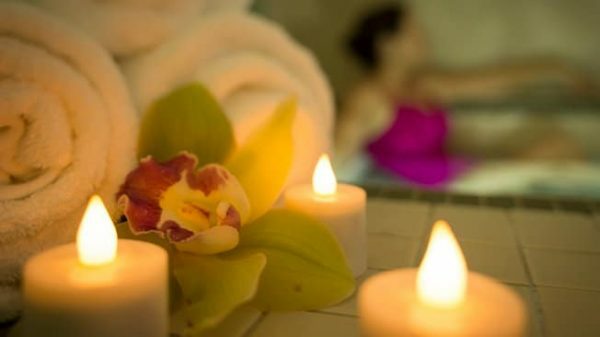 Several of Disney's resorts offer full service spas and if your feet are tired after a few days in the parks, a couple hours getting pampered with your significant other might be just the thing you need. 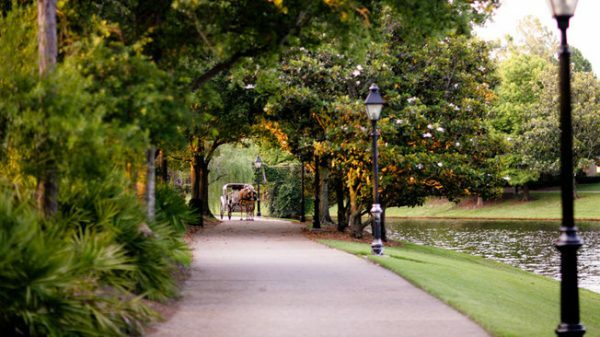 Both Ft. Wilderness (lush pine forests) and Port Orleans Riverside (charming river paths) offer carriage rides. The trip lasts about 25 minutes and costs $45. During the holidays, the carriage rides at Ft. Wilderness are transformed into "sleigh" rides complete with lights and garland. The holiday-themed rides are very popular and slightly more expensive ($79). You can make reservations for carriage rides 180 days in advance by calling (407) 939-7529. It doesn't have to be an adults-only event to be a date night. Let's be real: anything you do without the kids is going to be different than what you do with them. Are your kids too scared to ride some bigger rides? Tour a park or two without them so you can ride those rides as a couple rather than using Child Swap/Rider Switch to take turns. See some of the shows in the parks that your kids might be too antsy to sit through. Watch a parade, do some shopping, people watch. Whatever you'd like to do will be a little bit easier if you're not having to worry about the kids for a bit. No nanny along on the trip to help with the babysitting? No problem! Don't let the lack of a babysitter keep you from adding a date night to your Disney World vacation. You have a couple options when looking for childcare at Walt Disney World. All are very kid friendly and designed for maximum fun. Check out your Disney World childcare options. Have more ideas for adding a date night to your Disney World vacation? Share them in the comments. I use Care.com to find in room babysitters at the same rates that I would pay at home. You can even do interviewing by video chat to get to know them in advance, and it offers background checks! The Disney childcare site says you can also hire a helper (an au pair, basically?) to go with you into the parks. Do you have any experience, or have you heard of anyone using this part of the service? We are going for our first visit in January with our kids to celebrate our anniversary and our youngest’s first bday. Your article encouraged me to set up something special with just my husband. We hired the sitter service linked above and booked the Wild Africa Trek (more of your great advice). So excited! Thanks for your awesome ideas! We’ve got 4 kids ranging from 11-15 (11,11,12,15) so they should be alright solo for a couple hours when we go. We used the club den at the Wilderness Lodge and it was a great experience! We stayed at Ft Wilderness with our 3 yo twins. I didn’t want to ask a sitter to our camper with the close quarters and our dogs. 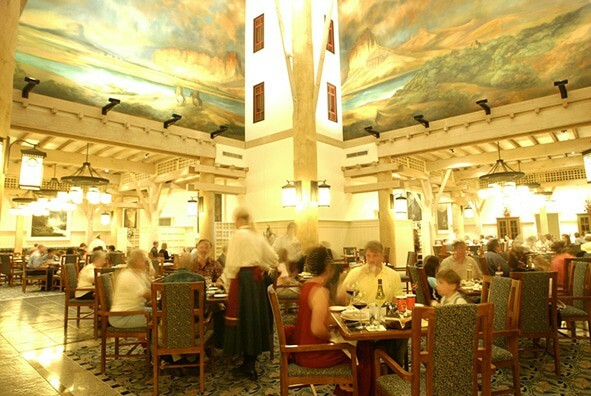 This gave my husband and I time for a nice adult dinner at Artist Point (got reservations with only 1 month’s notice). We also got some soviners purchased for friends & family. It was nice to shop without the kids. I really like the big gift shop in The Wilderness Lodge. We used the kids clubs twice. The one at the Wilderness we tried to use when my youngest was almost 4, and potty trained, but he apparently needed help wiping, and they supposedly don’t do that. So one of us was called just as we’d gotten to Epcot for our Morocco reservation to go back and get him. It was really, REALLY frustrating. Kids under 5 often can’t wipe, so I just don’t understand what their deal was. We used the kids club at the Poly, and the staff there was far nicer. Our kids had a blast, even my brother’s older son, who was 12 at the time. He was able to just hang out with the older kids and not feel babied.